Danny Prusseit had once impressed me, it was the album «Try To Feel», published in 2008 by Halbisht Records. Moreover, he is also one of the participants in the formation of industrial idm bias Atmogat. In Danny's solo project he focuses not only the technical component. Mostly, his music is a symbiosis of high-tech and lyrics. Broaching soundscapes, pathetical keyboards and high-tech beats creates an atmosphere of emptiness, loneliness and longing for a bygone era. «When Things Stop To Move» can be represented as journey through lifeless ruins of the once highly advanced civilization. Most noticing thing in album when you listen it in first time is a powerful beat that wading you from the inside. It slightly dryish, but in doing so only highlights the main musical theme. The opening track «Things Which Stay» is undoubtedly one of the best on the album. A memorable keyboard parts passing through the whole song, rhythm and technically include forced to repeat again and again. The track «A Silent Close» suddenly heard a beautiful voice Laska (Kate Tustain), I think it's a great deal, it is a pity more vocal nowhere in this album will not hear. In general, though just for such things as eye-popping «I Will Never Forget Your Smile» and «Things Which Stay», under which straight involuntarily begin to nod your head to the beat of the rhythm, the album sounds a bit monotonous. As if there is a certain scheme, the same for all tracks. In this respect, reminds me of Diaphane with his album «Samdhya», a chic and original sound, but a little «sketchy». However, this is just my subjective criticism, on the whole CD is definitely out the discharge and it must have in your collection. Of the final disc of remixes especially memorable interpretation of the track «A Silent Close» from Bitcrush. Mike Cadoo's post-rock style is good fit to the album. 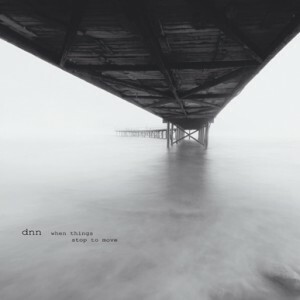 «When Things Stop To Move» is an album with the application for the title of one of the best idm work this year. Such profound and sensible things I have not heard for a long time. I am confident that this record will be appreciated by both audience and critics as well.